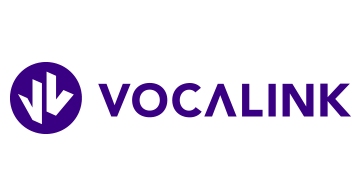 We’re VocaLink. A global payments partner to banks, corporates and governments. We design, build and operate world-class payment systems. We believe that sustainable economies are powered by easy access to and movement of money. Our award-winning platforms and payment industry expertise make it easier for people to make payments confidently and securely. Last year we processed over 11 billion transactions with a value of £6 trillion. In the UK, we process over 90% of salaries, more than 70% of household bills and almost all state benefits. Every business and person in the UK benefits from our technology. In the UK, our high availability, resilient payment systems power the Faster Payments Service on behalf of the Faster Payments Scheme, the Account Switching platform, Bacs and the Direct Debit Scheme. We also connect the world’s busiest network of over 70,000 ATMs through the LINK scheme. As an employer, we place the highest importance on motivating, managing and developing our employees. So much so, we’ve been awarded the Investors in People (IiP) Gold standard. We’re proud to say that every employee is an expert at what they do. Our proven capability of implementing real-time payment systems in the UK has led to the development of immediate payment solutions for other countries such as Singapore and the United States. Our vision is to be the leading real-time payment infrastructure provider globally, creating a positive impact on society by shaping the payments landscape worldwide. Our approach to designing world-class payment systems is driven by the voice of our customers. Their needs are at the centre of everything we do and we strive to deliver a flawless experience every single time. We’re VocaLink. Powering economies, empowering people.